Cosmetic dentistry is a specialized dental field requiring additional training and education to improve a range of aesthetic dental imperfections. The cosmetic dentists at our practice have been trained in these advanced techniques, and can improve a number of aesthetic dental issues with beautiful results. Cosmetic dentistry treatments from Dental Professionals of Fair Lawn can not only improve the appearance of your smile, but they can also enhance the function of your teeth. Aesthetic dental care can be an excellent way to boost your self-confidence and help you feel great about the look of your smile. With our cosmetic dentistry treatments, you can refine your smile with natural-looking results from procedures customized just for you. Please read through the information below to learn more about the types of cosmetic dentistry options available at our practice. If your teeth have become yellowed or stained over the years, professional teeth whitening can dramatically change the look of your smile. With our in-office whitening treatments – ZOOM!® Whitening and BriteSmile® – we can help you to look your best for an upcoming wedding, job interview, reunion, or other important event by lightening the shade of your teeth with beautiful results. Porcelain dental veneers are a fast and attractive way to correct dental issues such as misalignment, chips, stains, and gaps. These thin shells are placed over the visible area of the affected tooth, and color-tinted to blend in with surrounding teeth. Made of an extremely durable ceramic material, veneers can often last for decades and provide a natural, balanced appearance to your smile. Dental Implants are a restorative dental option for the replacement of missing teeth or teeth that are beyond repair. These permanent restorations can be made to match your existing teeth in color, size, and shape to ensure a natural look and feel. We can help you regain your beautiful smile, sometimes in as little as one day! For patients who want to make a cosmetic change to their smile, but cannot currently afford more advanced cosmetic dentistry techniques, the Snap-On Smile® can offer a temporary solution. Snap-On Smile® can also be used as a temporary way to preview what a more permanent cosmetic dentistry procedure might look like, such as porcelain veneers. After one of our dentists takes a mold of your teeth, a Snap-On Smile® can be created. Your new smile can be personalized with the shade and style of your choice. 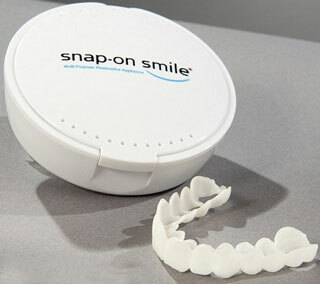 Once completed, the Snap-On Smile® is designed to fit over your existing teeth, for an instant change! Snap-On Smile® can be created for the upper and/or lower teeth and can be worn while eating or drinking. Some of our patients opt for cosmetic bonding as a way to restore damage to their teeth from minor imperfections such as chips or stubborn stains. This process is often completed in a single office visit, and it can produce beautiful, natural-looking results. 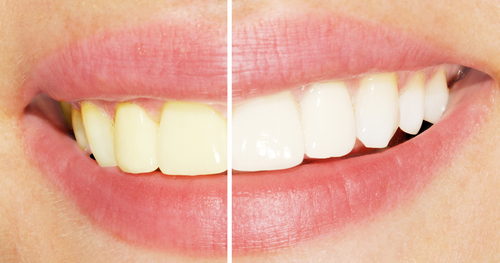 Cosmetic dental bonding can also be a good alternative to porcelain veneers in some cases. 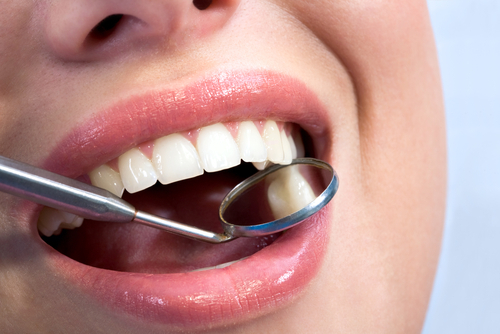 Cosmetic dental bonding is achieved by applying a strong bonding material to the affected tooth. The material is then shaped, cured, and smoothed – precisely etched and molded for the most natural appearance possible. This material is designed to be long-lasting, attractive, and to provide the tooth with a strong support structure. When fillings are necessary for teeth affected by decay, a tooth-colored filling eliminates the risk of mercury exposure that can be found in more traditional amalgam (metal) fillings. Tooth-colored fillings are made of a white, composite material, so they have the added benefit of a more aesthetically pleasing and discreet appearance. They are strong, typically long-lasting, and less likely to become loose when compared to traditional amalgam fillings. To learn more about mercury-free dentistry, or to schedule an appointment, please contact us today. If your smile appears to be too “gummy,” gum reshaping, also known as gum re-contouring, can help to improve the balance between the teeth and gums. Using a gentle, virtually painless laser, our dentists can remove excess gum tissue to bring out more of the teeth and less of the gums. The non-surgical approach to this procedure through the use of laser dentistry allows for accurate treatment with a faster recovery and less discomfort. Ultimately, gum reshaping can enhance balance and symmetry between the gums and teeth with beautiful results. If there are multiple dental and/or periodontal issues that need to be addressed, a smile makeover may be right for you. After a consultation, one of our cosmetic dentists will be able to create a customized treatment plan, taking into account your unique facial structure. 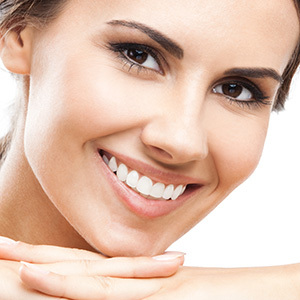 A smile makeover can consist of a combination of cosmetic, general, and/or restorative dental techniques, such as porcelain veneers, teeth whitening, dental crowns, dental implants, or other treatments. Smile makeovers can address issues including stains and discolorations, gaps between the teeth, missing teeth, misaligned teeth, and other cosmetic imperfections. The results can completely rejuvenate your smile and solve a number of problems at once, and can often be completed in one day.